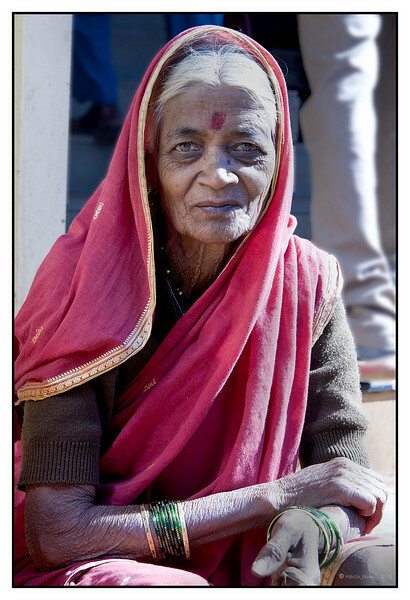 This lady was sitting near a shop in the market and despite the age and hardships of life, her face had a serene look. I tried B&W treatment but feel this looks much better...? What a find! She is beautiful. Beautiful woman, confident expression, fabulous portrait! What a face, love this candid! Yes, she has a serene look. Nice portrait.